Experience Oxfordshire is calling on Oxford businesses to get involved in a £1.6m Discover England Fund* project by England Originals from England Historic Cities, to attract more international visitors to the city. For the very first time Oxford along with 14 of England’s top ranked historic cities and the City of London, have come together as England Originals, launching five new, hassle-free, easy to book itineraries aimed primarily at US millennials. The tours present heritage in an exciting new way, through story-telling and augmented reality, and can easily be completed in three-to-four-days. Oxford is one of three cities featured in the Thinkers and Writers Tour. 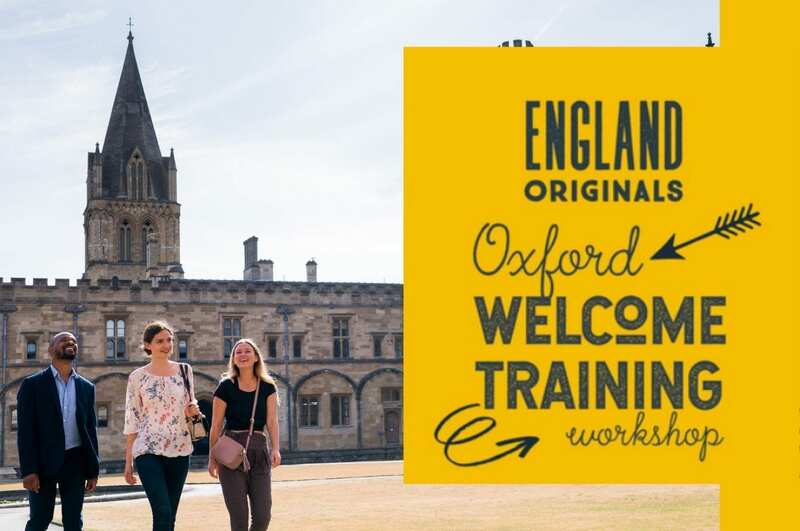 On 13th March England Originals will host a Welcome Training Programme in Oxford for business owners and front-line staff, providing an overview on the project and how businesses can benefit from being involved. The training is designed to help attendees become even more effective and informed ambassadors for England Originals and Oxford and to attract more customers through positive recommendations and repeat bookings. England Originals will benefit tourism businesses located in and around the 14 English cities, and the City of London, and this training will help to upskill staff and develop their product knowledge. The Welcome Training Programme will take place at the Pitt Rivers Museum from 9:30am to 1:00pm, and a free set of online tools will be available for businesses and their staff post session. Tickets to the training cost £50 per person and can be booked at https://www.englandoriginals.co.uk/oxford/. Local businesses that are already collaborating with the project have two complimentary places available to them. For further information about England Originals and Oxford businesses already involved in the project visit www.visitlondon.com/englandoriginals. For general information about England’s Historic Cities visit www.heritagecities.com. *England Originals from England’s Historic Cities is one of a number of projects to benefit from funding from the UK Government’s £40 million Discover England Fund. The Fund is administered by VisitEngland and involves a programme of activity to ensure that England stays competitive in the rapidly growing global tourism industry, by offering world-class English tourism products to the right customers at the right time. The Fund is a central government funded programme of activity, supported by match funding by partners in the public and private sectors. Its geographical footprint spans the length and breadth of England and membership comprises 13 of the country’s premiere heritage locations: Bath, Canterbury, Cambridge, Chester, Carlisle, Durham, Greenwich, Lancaster, Lincoln, Oxford, Salisbury, Stratford and York. They are joined in England Originals by the City of London, and emerging historic destinations, Truro and Worcester. 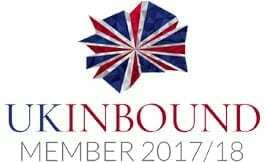 Working with a wide range of partners in both the UK and overseas, our mission is to grow the volume and value of inbound tourism across the nations and regions of Britain and to develop world-class English tourism product to support our growth aspirations. For further information and to access the latest in-depth market intelligence and statistics visit www.visitbritain.org or www.visitbritain.com and www.visitengland.com for consumer information.